FastTrack Fit Camp (www.fasttrack-fitcamp.co.uk) is owned and run by Heidi Strickland-Clark. Heidi asks clients to recommend charities to support and each month a charity is chosen to raise money for. 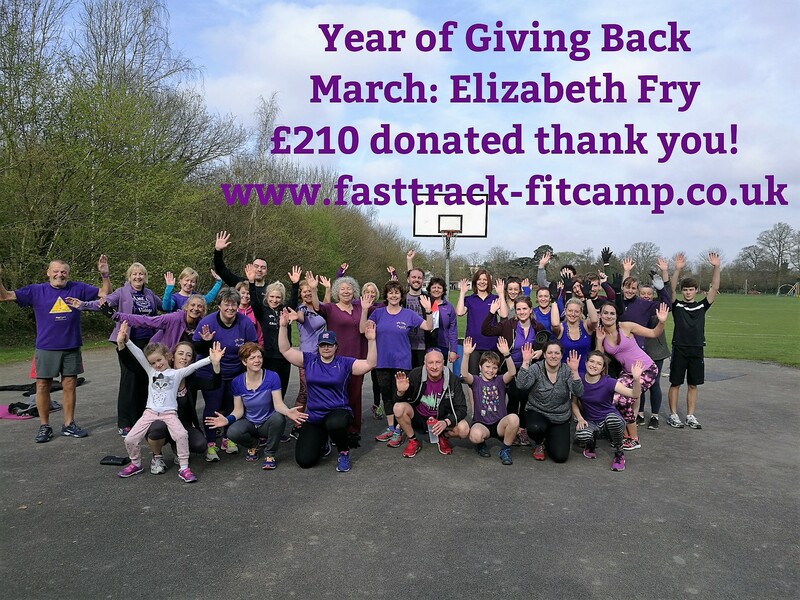 We are delighted that Elizabeth Fry was chosen as the Charity for March.